It looks like 2011 is the year of the blogger. Well, when it comes to cook books anyway. As we head into the 6th month of the year, we have seen a slew of bloggers get book deals, and we are just beginning to see them drip into the market. Rambo (or James if you prefer) is someone I have known for a while, and has a good pedigree in the kitchen. A regular on the "foodie" circuit and fresh from a stint at Ballymalloe, he has spent his years making a career out of food writing, and even started up his own supper club (known as the Secret Larder) to keep his culinary skills sharp culminating in Rambo gettting included by Quadrille under their "New voices in food", to write his own cook book comprising of some of his recipes. I was lucky enough to be sent a copy by Quadrille, and packed in between those covers are a multitude of homely recipes. 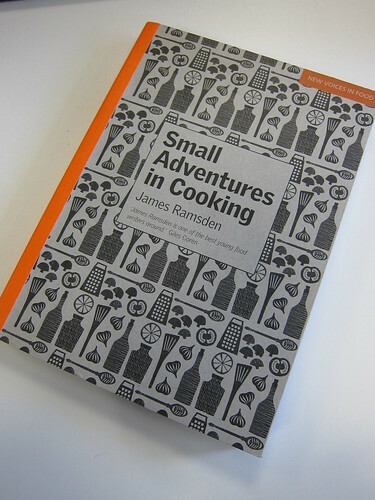 Rambo may be my friend, but it's an impressive array of recipes and well worth a look. Get a copy while you can!